Located only half an hour’s drive from Iran’s capital, Tehran, Mt. 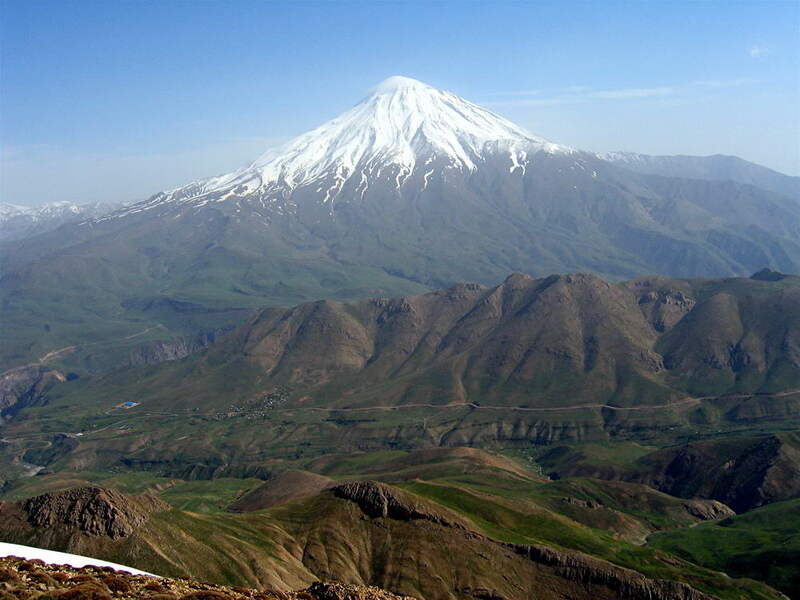 Damavand is among the world’s most accessible 5000m altitudes, located in a rich and unique cultural milieu. This majestic dormant stratovolcano – that looks like a bigger replication of Mt. Fujiyama in Japan – is the second highest in Asia and the highest in the Middle East. Covered by clouds most of the time, the snowy white summit of this mountain is one of the most spectacular views in Iran. On Mt. Damavand’s lower slopes there are hot springs (with some of them located in the village of Larijan). 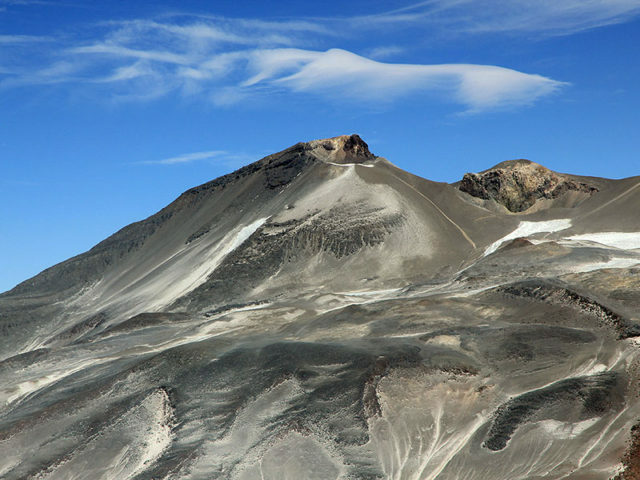 The volcano’s summit is featured with a crater of about 150–200 m across, covered by pumice stones and sulfurous rocks. The upper slopes and the crater itself are covered with snow in autumn, winter and spring. 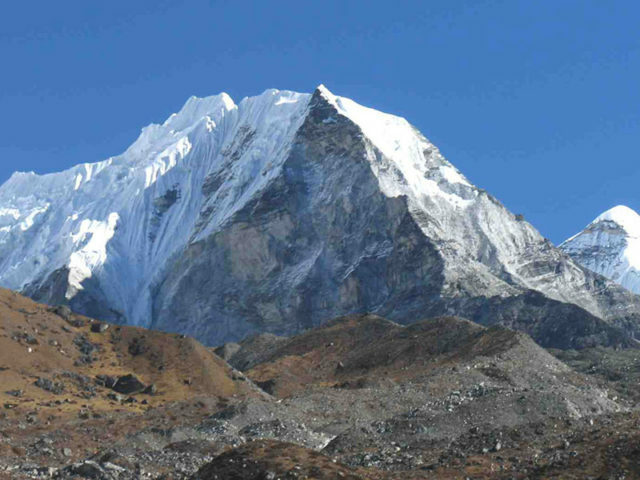 Climbers may encounter some difficulties (such as cough, throat irritation, running nose, and allergic reactions) due to the sulfuric gas at the altitude of about 5400m. Damavand’s height allows for amazing views opening from its top to the valleys and mountains stretching hundreds of kilometers around. Particularly it provides great views of the Alborz Mountain Range, the Caspian Sea plain, as well as the deserts of central Iran. Day 1. Damavand climbing expedition starts with an afternoon transfer from hotel in Tehran to Damavand Camp 1 Polour Hut at an elevation of 2270m – for acclimatization. 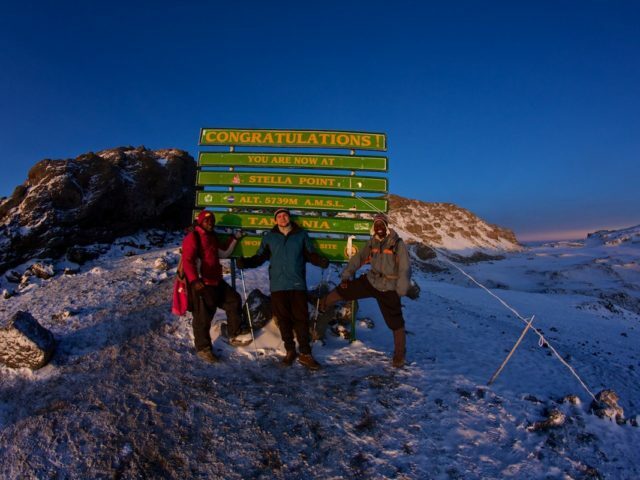 The rest of the day will be spent acclimatizing (without any strenuous climbing or other physical exercise), preparing for climbing and checking equipment. The Poluor Hut is part of a big mountaineering sport resort, and represents a comfortable hostel with bunk beds, kitchen, hot water and shower. Day 2. This day of Damavand climbing begins with a car transfer to Camp 2 Base Refuge (at 3040m), followed by a 4 to 6 hours trek at a steady pace to the altitude of 4250m, to Camp 3 New Hut (Bargah Sevom). Overnight stay at Camp 3 comfortable hostel/lodge. Day 3. 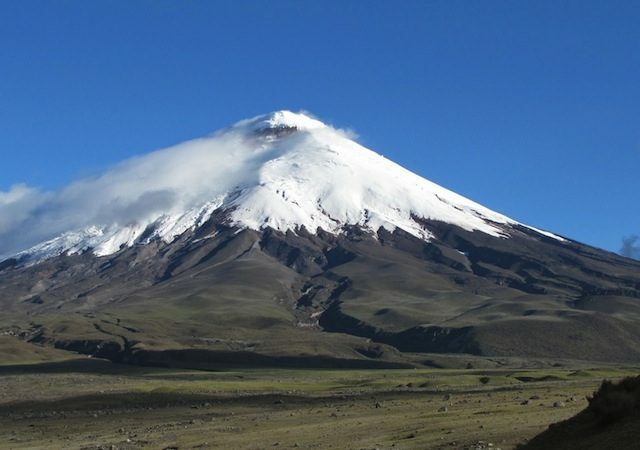 This day of Damavand climbing tour is dedicated to acclimatization ascents to nearby mountains and getting prepared for the following summit day. Lodging in Camp 3 New Hut. Day 4. Start as early as 5 AM to make the ascent to Damavand in about 5–7 hours. Descent to Camp 3 by late afternoon. Lodging in Camp 3 New Hut. Services of professional mountain guides (additional guides on the summit day). Permits for climbing and National Park fees. Meals all through the climbing (prepared by a cook), but only breakfasts when in cities. Sightseeing tours mentioned in the itinerary. Medical insurance for mountain climbing. Lunches and dinners in cities. Expenses incurred by any changes to the mentioned itinerary. Services of rescuing and evacuation.